Most days at the UN, she was the only man in the room. Pray that Trump will find another. Shock, surprise, dismay, but it is true, Nikki Haley has resigned as US Ambassador to the UN. For nearly two years she was the voice of America to the world. No more pushing us around. That voice. No one put it in stronger terms than Nikki Haley. Most days at the UN, she was the only man in the room. She alerted her fellow ambassadors that there is a new sheriff in town, and this one wears a skirt and means business. She may have been only one part of President Trump’s foreign policy team. But her influence was (and is, she is staying till the end of the year) powerful and indelible. If you want more apologies from America, she warned the bloated/rapacious diplomats, check back with the previous administration. Not this one. This one has had enough of that. Those days of bowing to the nations are over, finished, and if there was one moment that defined her entire approach to the entire world, it came at her defense of Israel. Precisely, it came after President Trump named Jerusalem the capital of Israel, a decision that angered the nations. They were so used to having Israel their way. So they insisted on a do-over, which meant, as we recorded it here, a General Assembly resolution to protest Trump’s declaration. 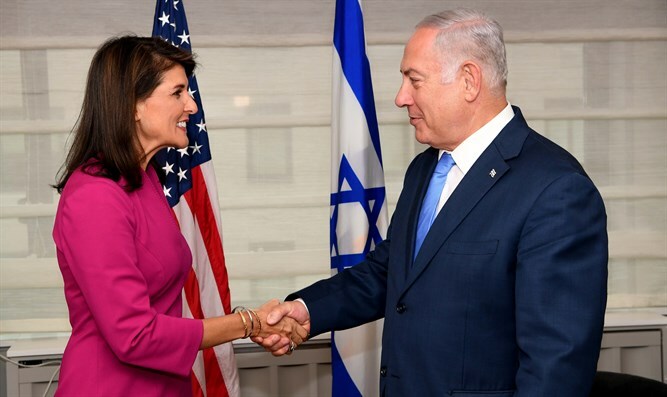 That included moving the US Embassy to Jerusalem, which infuriated them even further—and which triggered Nikki Haley to rise to the occasion – and did she ever! "On Thursday there'll be a vote criticizing our choice. The U.S. will be taking names.” Message sent. Message delivered. Message received. Message sent. Message delivered. Message received. The poetry was unambiguous and the place still hasn’t quieted down. They never heard words like this before. Now they knew what they were dealing with and indeed names were taken. Sure enough foreign aid was cut to nations and agencies, like UNRWA and the PA, that were either wasteful or hateful, and always ungrateful. Now they tiptoe around her. Depending on who replaces her, the UN will never be the same again. She will have left her mark…and a triumphant mark it is. Tough shoes to fill. Will the next one be as strong for Israel, the nation for which she had her most shining moment? Call it her Haley moment, as here we quote her awakening: "I knew that there was a bias against Israel, but I hadn't really put a lot of thought into it, until I attended the first session. And when I saw literally how abusive all of those countries were being to Israel, in a way that was pathetic - really I had no choice but to get up and say this is completely wrong." 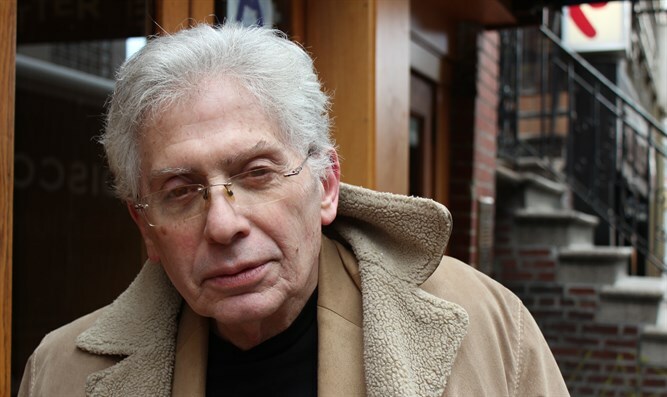 "I came out and said, 'We are not going to condone this anti-Israel bias'." One of a kind. Pray that there is another.